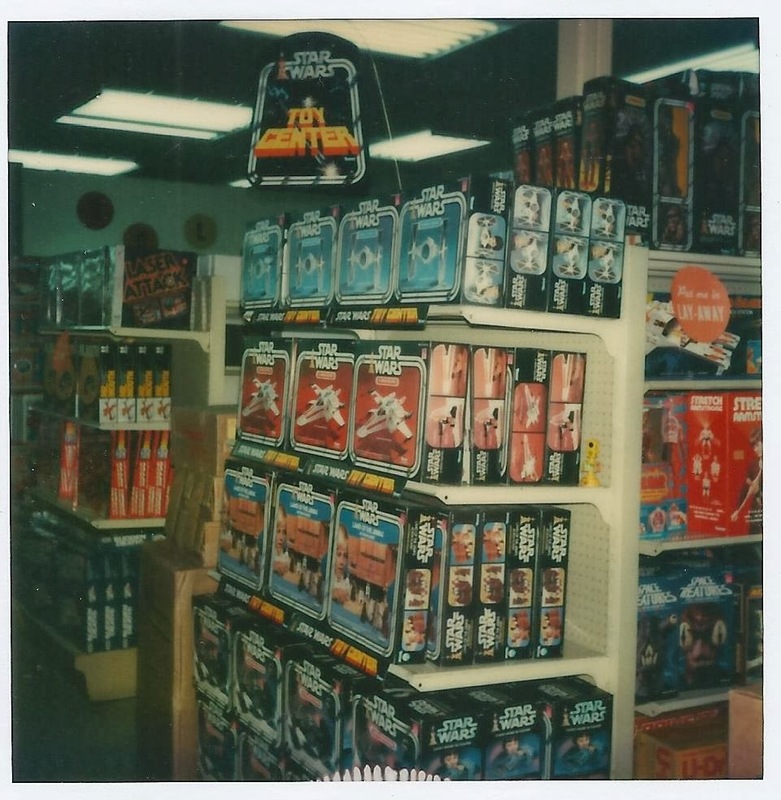 Those were the days. 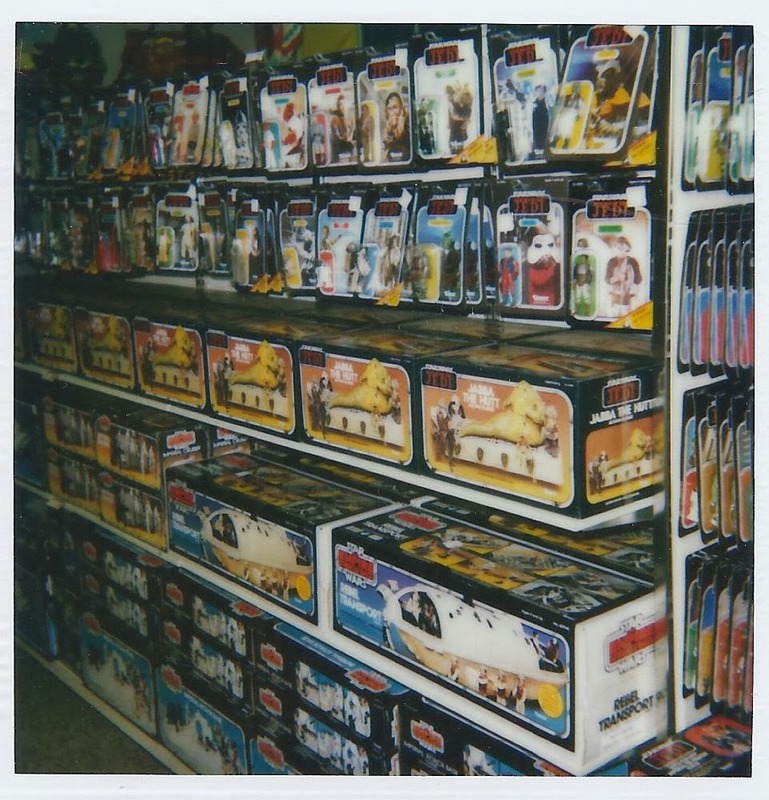 Shelves stocked with Star Wars toys in beautiful displays with action figures, vehicles, and playsets. 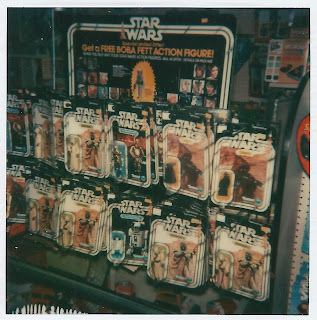 As a kid, a display of Star Wars toys like this would be enough to cause obsession. As an adult, they make me feel weak in the knees and a little bit like I have something in my eyes. And also cause feelings of obssession. 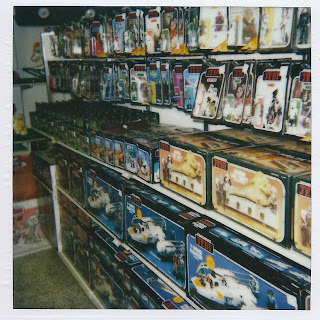 Ron Salvatore shared these images over on the Rebel Scum forms. 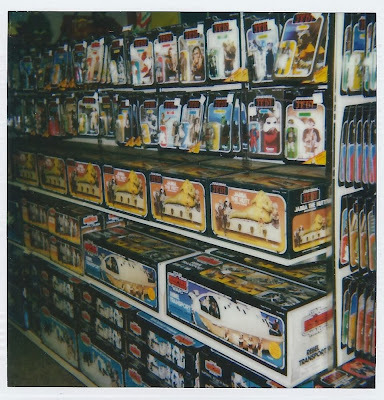 Kenner took these photos to see what their point of purchase displays looked like, and they were supposedly taken mostly in the Midwest. 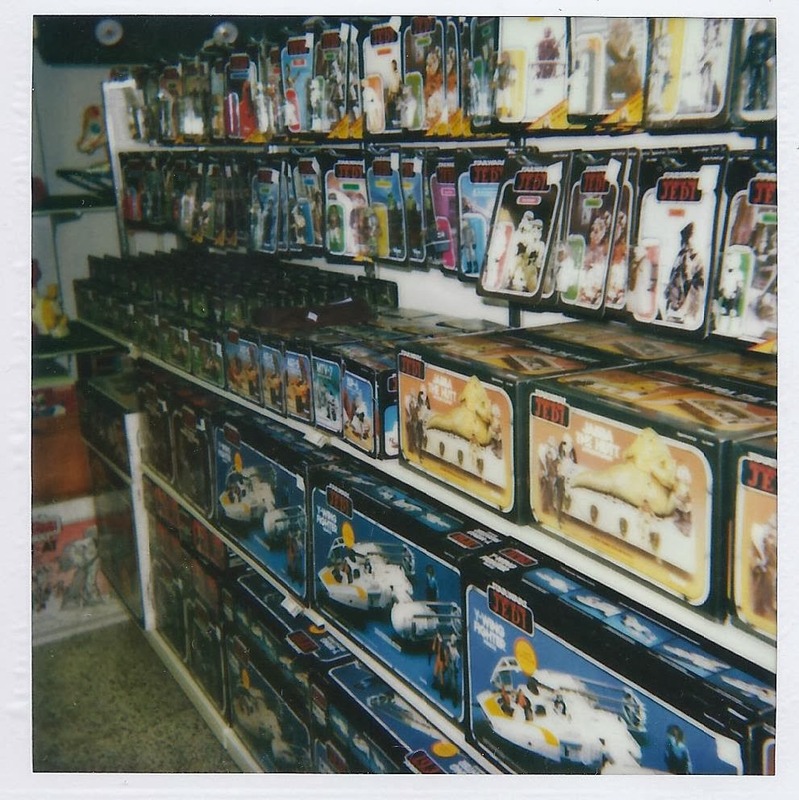 Regional sales reps used Polariods to capture the images and sent them back to Kenner. 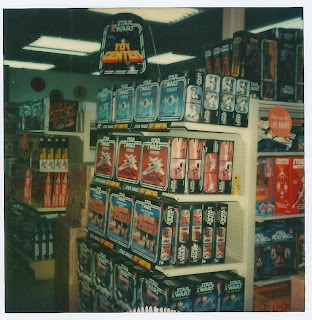 What I would give to walk into a store and see a display like this now. 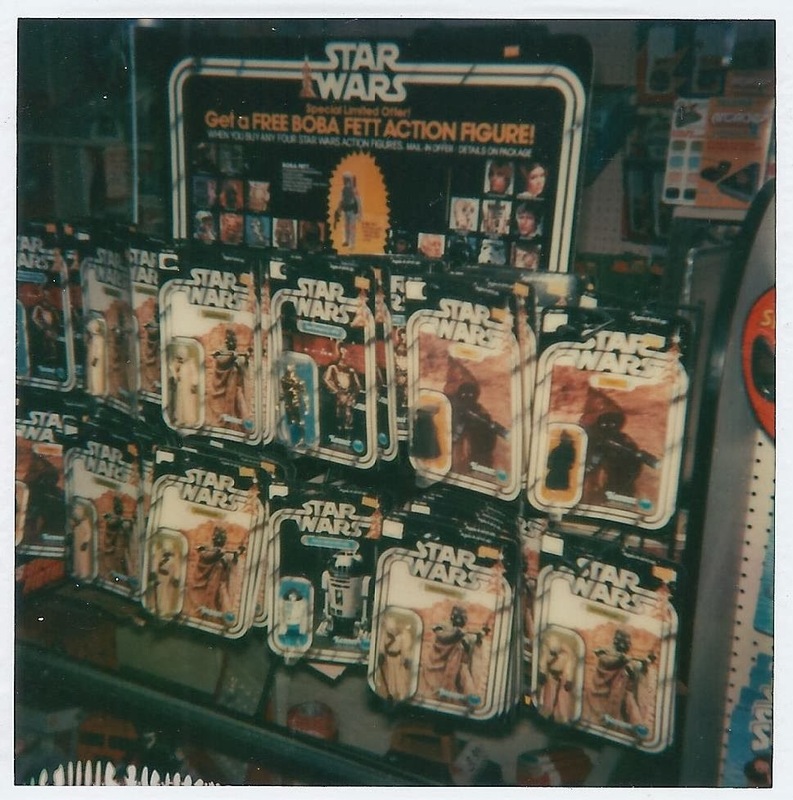 Maybe we'll get closer as Episode VII approaches its release date, but toy displays just aren't made like they used to be. These pictures threw me back to my childhood. 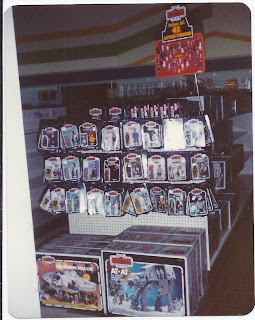 Although, I would venture a guess that these were "shelves freshly stocked" pictures. 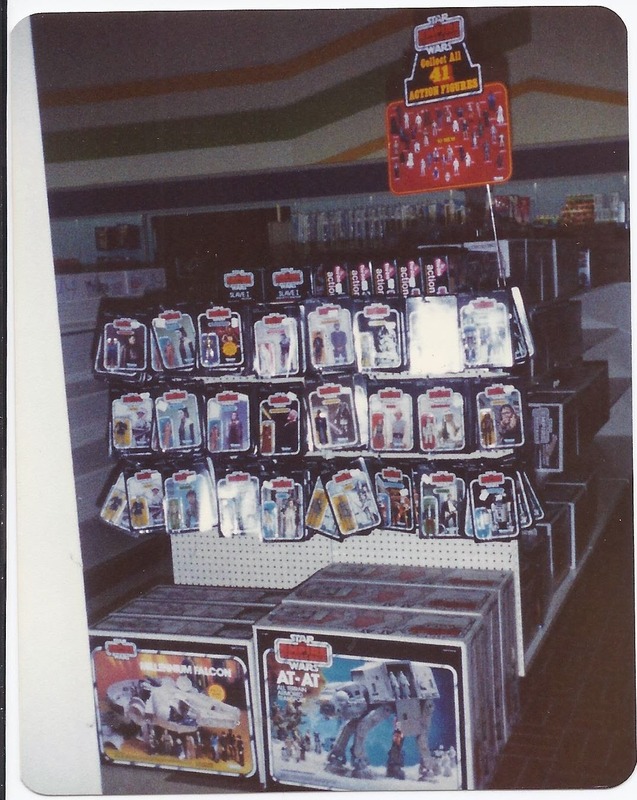 Figures were hard to find for a long time and people were buying them hand over fist. I bet you're right! 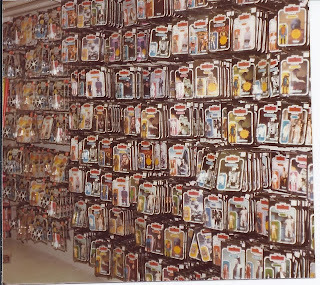 Man, I wish I had seen shelves like these in person. Only if you had buckets of cash. 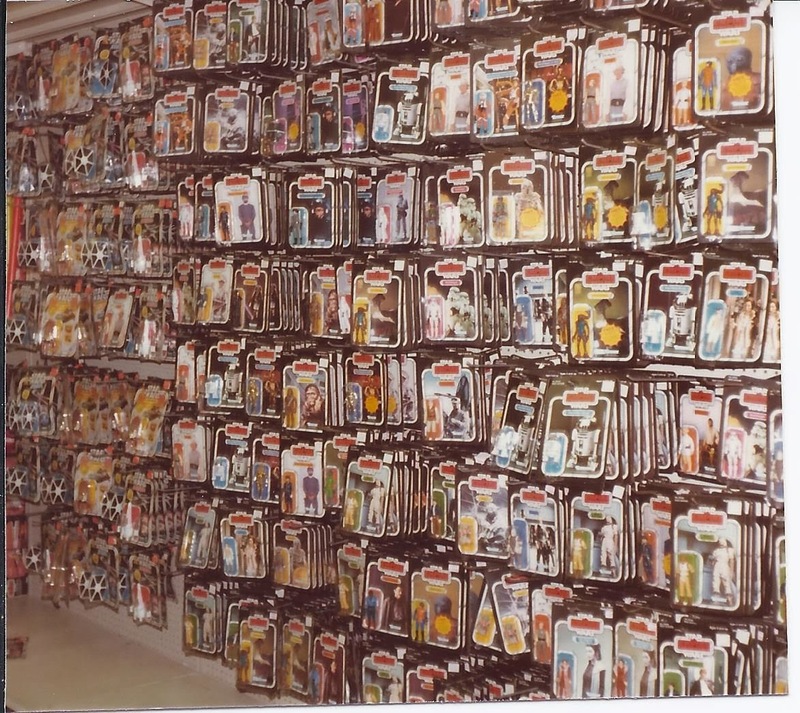 A figure a week was my allowance...if I was lucky. 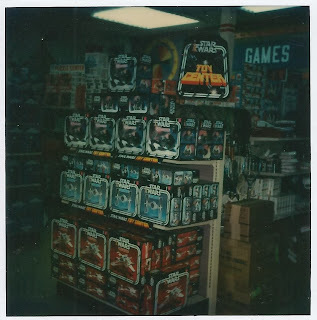 I still remember my dad coming home from work on Friday nights with a small Toys R Us bag...I would be so excited each and every week!